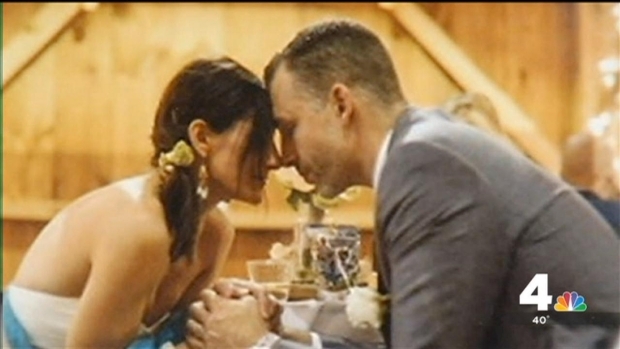 Denise Mattison called her husband, Corey, her hero. He was her protector long before a terrible night last week, when Corey was shot and killed, deputies say, by Denise's ex-husband. Investigators believe Corey Mattison died outside, behind the Ashburn townhome he shared with Denise. He may have been leading suspected gunman Minh Nguyen, 38, away from his wife and two children, the Mattison family said. Nguyen -- the high-profile founder of a Silicon Valley-based, pre-Facebook social network -- was captured by his own mother. Search warrants reveal that when deputies responded to the town home, they found Nguyen in the garage, being held down by his mother. Denise Mattison held back tears as she shared loving stories of her late husband Cory, her hero, with News4's Derrick Ward. The two were struggling over control of the firearm, the warrants showed. 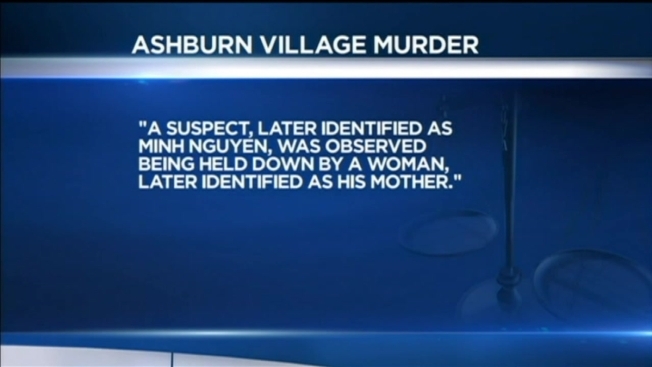 Nguyen's mother told deputies to take the gun, and Nguyen was arrested. "He was my hero way before a few nights ago," Denise Mattison said. "They just don't come like him. It was a kind of thing when every single one of my friends or family members met him, they would think, it was just kind of like, he's just kind of too perfect... and the truth is that he was. He was the greatest man I've ever known." Corey and Denise married three months ago and lived with their five children. She said he was good at everything he tried, from cooking to helping raise their children together. He was an athlete in high school and college. "He came into our lives and stayed when no one else would have," Denise said. "Every morning... he would say, 'Lord I'm so thankful for this day that I can live in this beautiful world you've created.' That was every single morning. That was the way he lived. He was always just thankful for everything." She wanted to share one of the first things Corey said to her early on in their relationship. "[He would say,] 'I love you for everything that you are and I don't spend a second thinking about anything that you're not,'" she said. For Denise's brother, the marriage was a dream come true -- his sister had a protector. "To see the way he loved Denise on a consistent basis, to see the way he treated her... there's nothing more that a brother could ask for," Aaron Fox said. Now, Denise's family is on an emotional roller coaster, bound together by their faith. "There isn't any regret other than the fact that my sweet husband isn't here anymore," Denise said. Nguyen, a one-time social media tech pioneer, is facing a first-degree murder charge. He's behind bars without bond. A family friend organized a GoFundMe page to help Denise and her family with expenses.